We are forever fans of Carolyn Bessette-Kennedy's style and are always on the look out for ways to emulate it with current pieces. 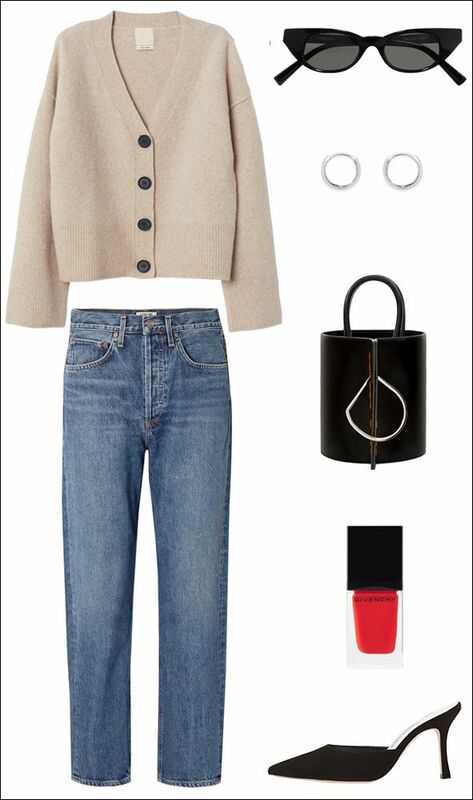 We can't help but pictures the '90s style icon sporting this neutral cardigan sweater along with cat-eye sunglasses, small hoop earrings, a chic mini bucket bag, straight-leg jeans, and timeless Manolo Blahnik mule heels. To brighten things up we love a bold orange-red nail color.